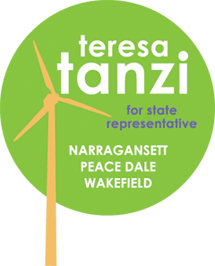 STATE HOUSE –As a means to protect the public and the environment, Rep. Teresa Tanzi (D-Dist. 34, South Kingstown, Narragansett) today introduced legislation to eliminate cesspools in Rhode Island. Cesspools – buried chambers that receive sewage from a building for disposal into the ground – release untreated human waste into the environment, often in direct contact with groundwater. New cesspool construction was banned in Rhode Island in 1968, and since then new buildings have generally been connected to municipal sewers or built with onsite septic systems that safely treat waste. Under legislation passed in 2007, by this year all cesspools within 200 feet of coastal waters and public drinking water supplies were required to be replaced either by state-approved on-site wastewater treatment systems or connections to sewer systems. But that still leaves thousands of other cesspools in use across the state that threaten the environment and public health, and Rhode Island needs a plan to eliminate them. As of last year, there were still about 25,000 cesspools in the state, according to Department of Environmental Management estimates. Representative Tanzi’s bill, which she submitted in conjunction with the DEM, teams her up once again with Rep. Donna M. Walsh (D-Dist. 36, Charlestown, South Kingstown, Westerly and New Shoreham) who is cosponsoring the bill. Representatives Tanzi and Walsh have worked closely to tackle these problems. The bill would require that all cesspools in the state, regardless of location, be replaced when they fail, or when the property is sold or transferred to someone outside the seller’s immediate family. The replacement must occur within 12 months of the date of the sale or transfer. The legislation also requires that any property that currently uses a cesspool but has a sewer stub for connection to a public sewer be connected to the sewer by Jan. 1, 2016. Representative Tanzi said using the point of sale as a trigger for cesspool replacement makes sense because in recent years, many lenders – in particular the Federal Housing Administration – have become reluctant to finance the purchase of properties with cesspools. And because of real estate disclosure requirements, the presence of a cesspool makes it difficult to sell properties. “At or before the time comes to sell a property, there’s a huge added incentive to replace a cesspool since it will come up during the course of the transaction. Buyers will struggle to get financing for a property with a cesspool, and the presence of a cesspool is a knock against the property for buyers anyway. The home will be worth much more to potential buyers with an updated septic system or a sewer hookup, so the seller will benefit. But the biggest benefit is to the environment, because it will mean an end to one more source of pollution,” said Representative Tanzi. “Since you can’t put a price tag on the value of a cleaner environment, any time is a good time to replace an old cesspool, if only to protect your own well water. However, I also understand that it can be a big expense for a homeowner to replace a septic system. That’s another reason why I believe the most practical approach is to require cesspool replacement to occur when the property is sold. That way, at least the seller will be able to recoup the money as part of the sales agreement,” she continued.